Once again you have the opportunity to take a trip to Thunder Valle, the racetrack where the engine roars between the mountains! And the road to the track is not like any others. So, don´t miss out of this event. Vårgårda Raceway had splendid weather all weekend! 13 classes, of which 10 included in Summit Racing EDRS Series, was run in the sunshine. 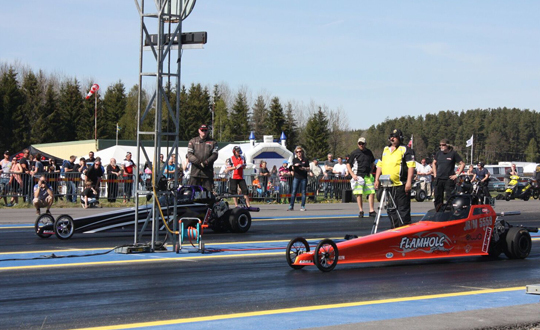 The third race in a row in Summit Racing EDRS Series this month is Vårgårda Dragway Nationals 2017 . 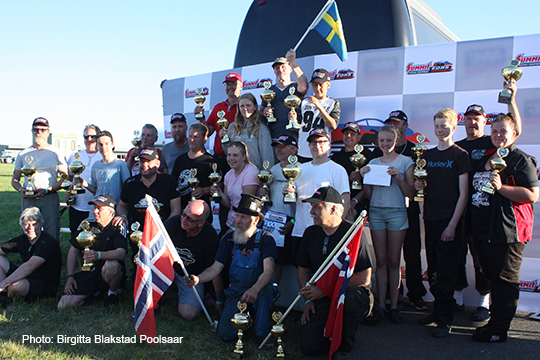 Vårgårda Dragway is a very popular track and 110 teams have register for this event!